Landscapers and genetic counselors made the list. U.S. News & World Report released its “100 Best Jobs” list for 2019. The rankings are based on variables such as salary, advancement opportunities, work-life balance and how in-demand the position is. Some unexpected jobs made the top of the list, including cartographers and landscapers. U.S. News & World Report recently released its “100 Best Jobs” list for 2019, and although a lot of the usual suspects made the list — i.e., high-paying jobs in the medical field — some less conventional jobs also made the cut. The ranking and news site based its list on a number of variables, including salary, advancement opportunities, work-life balance and how in-demand the position is. So if you’re looking for a new job that’s outside the box of more typical career choices, you might want to consider one of these interesting positions. You might not have used a paper map in a decade, but cartographers — people who draw maps for a living — are in high demand thanks to the rise of interactive digital maps. “Since , we have seen the explosion of interactive maps; the democratization of cartographic tools, cloud-based tools and data storage; print on demand; as well as the ever-changing trends in screen size,” Tanya Buckingham, assistant director of the Cartography Lab at the University of Wisconsin, told U.S. News & World report. All of these changes have helped the field to boom. The job ranked No. 18 overall, and is the No. 1 engineering job on the list, with a median salary of $63,990. Landscapers and groundskeepers came in at No. 38 on the ranking. Both jobs are well suited for those who enjoy being outdoors, as well as entrepreneurs who want to start their own landscaping or groundskeeping businesses. The demand for this job is growing, as an aging population is hiring people to take care of their gardens and lawns rather than doing the physically demanding work themselves. The median salary is $27,670 for landscapers and groundskeepers. If you don’t have a fear of heights, this might be a great job for you. 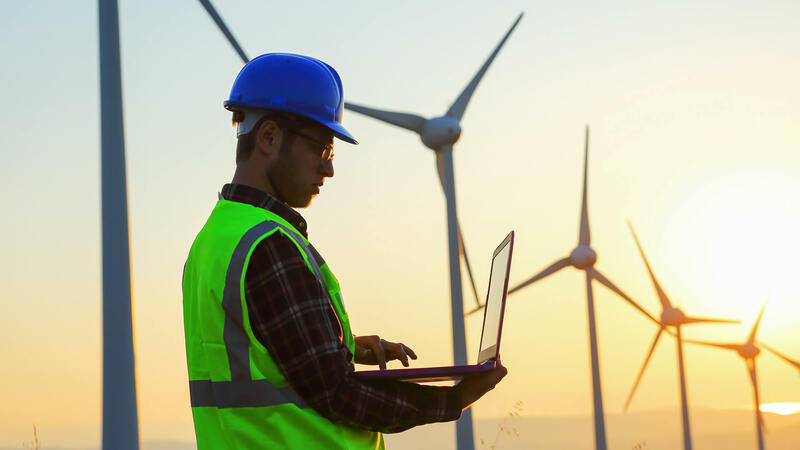 Wind turbine technicians are in charge of inspecting and maintaining wind turbines, so you’d be spending a lot of your time up in the turbine itself. The job entails maintaining and fixing the turbine’s electrical, mechanical or hydraulic components, and pays a median salary of $53,880. It ranked No. 57 on the “Best Jobs” list. It might not be the most glamorous job, but plumber came in at No. 59 on the “Best Jobs” list. The Bureau of Labor Statistics projects 15.6 percent employment growth for plumbers between 2016 and 2026. The median salary is $52,590. Part scientist, part counselor, a genetic counselor studies a patient’s family tree to find any potential health risks, informs the patients of these risks and presents them with possible ways to address them. Genetic counseling is a relatively new healthcare field — the first genetic counselors graduated with master’s degrees in 1971 — but it has grown in popularity in recent years thanks to advances in genomics and laboratory technology, plus an increased awareness of genetic counseling as a preventive health measure. Expect to make about $77,480 with this position. The job ranked No. 77 on the list. See more of the best jobs — plenty of them pay six figures, but there’s a huge catch.